No warning on hotness of crockery. This pie stayed burningly hot for most of the time I was eating it. I eventually evicted it from its cauldron, and ate it with the mashed potato. The pie only had a single, rabbity flavour. There were no large chunks. It was all fairly uniform. It tasted a lot like tuna mornay. The potato was just ordinary mashed potato. 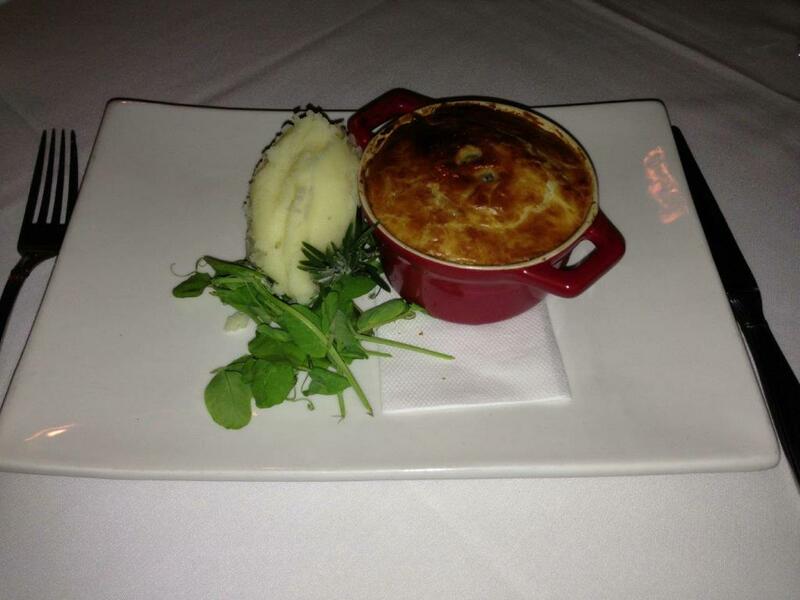 I removed the sprig of rosemary and tried to eat the rocket with the pie and mash, but it was completely unrelated. Sweet ras el hanout strawberries, pistachio bread & vanilla semifreddo. 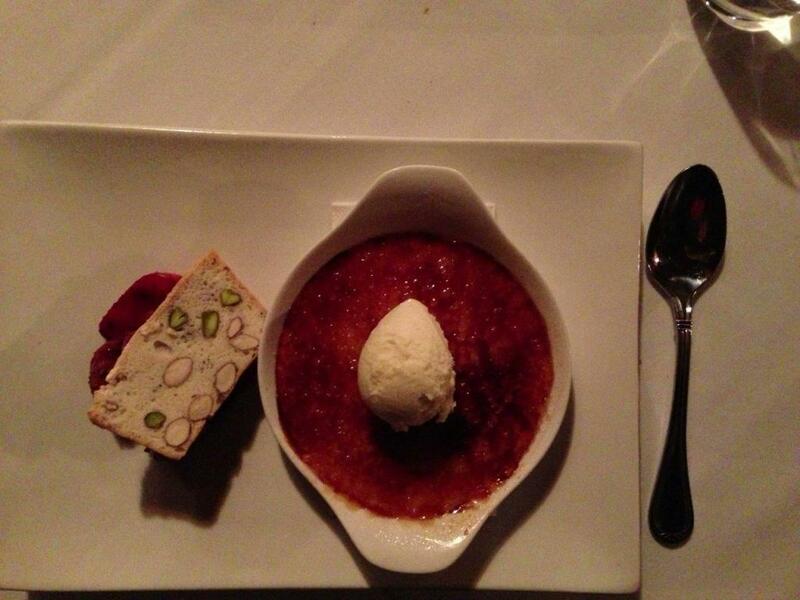 Never had a creme brulee with ice cream before. I think they got everything wrong with this one. The huge flat dish, combined with the overly thick layer of toffee (which was almost into “burnt” territory) combined to give this an extremely high toffee-to-custard ratio. Ideally, the toffee should be just slightly flamed, and only a tiny component of the dish. The custard here was bland and grainy, and the unevenly-spiced (and unsweetened) strawberries were inedible. Took me two sessions to explain all this to the waiter.